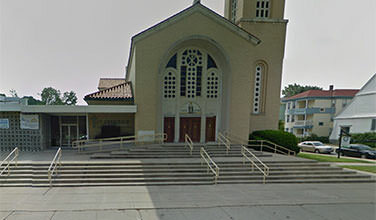 St. Spyridon is a Greek Orthodox Cathedral in Worcester, Massachusetts. Father Dean N. Paleologos is the presiding priest. We are located on Russell Street adjacent to Elm Park, the country’s oldest public park. We are an active parish with more than a dozen ministries, a weekly food pantry, weekly services and other activities. Our clergy performs approximately 15 weddings and over 50 baptisms each year. Because of our beautiful Cathedral and scenic Elm Park location, our Cathedral is popular for sacraments.